8 ladies enjoyed a lovely day out on Lough Lene in Co Westmeath. Very appropriately the most successful fly was a damsel! 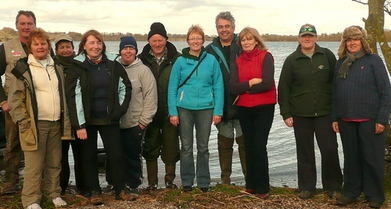 Many thanks to Tommy and all the boatmen for helping us to have a great day out. All the fish were returned to fight another day. Many other fish were hooked and lost on the day. Other ladies fishing were Mary McKee, Jenny Casey, Sorcha Weld, Margaret Rooney and Madeleine Kelly.